John Elsey, a resident of Lupton, Michigan, native of Detroit, and retired Detroit Police Sergeant, died at home in the care of his family on July 21, 2018 after a battle with cancer. He was 78 years old. He is survived by Toni, his beloved wife of fifty-nine years; his daughters, Michelle (Greg) Vance and Kathy (Joe) Jehens; sons, Matt (Tara) Elsey and David (Tina) Elsey; ten grandchildren and fourteen great grandchildren; siblings, Joan (the late Lou) Volpe, Patricia Ann (Darryl) Young, Carol (Richard) Spaulding, Bob (Karen) Elsey, Janet (Bob) Borowski, Mary (Kevin) Cavanaugh, Danny Elsey, and Kevin (Natalie) Elsey; sisters-in-law, Liz Ledford and Micki Pataka, and numerous nieces, nephews, and dear friends. He was preceded in death by a son, Tom (Vesna) Elsey, a brother, Michael (Ann) Elsey, and his parents, David and Jean Elsey. Born on August 9, 1939 in Detroit, Michigan, the son of David and Jean Elsey, John grew up in Detroit where he went on to serve with the Detroit Police Department for over twenty-eight years. He retired as a sergeant in 1992. In retirement, he and Toni moved permanently to their cottage on Sage Lake in Lupton where he proudly flew his American flag and enjoyed the nature and freedom from the city. The cottage was his ‘happy place’. It was his ‘haven’ for all the things he loved—hunting, fishing, boating, and enjoying his large family of children, grandchildren and great grandchildren. Visitation will be held at Lynch & Sons Funeral Home, 404 E. Liberty St., Milford, on Wednesday, July 25, from 2-8PM with a Scripture Service at 7PM. Mass of the Resurrection will be held at St. Mary Our Lady of the Snows Catholic Church, 1955 E. Commerce Rd., Milford, on Thursday, July 26, at 11 AM with The Rev. Msgr. John Budde officiating. For further information please phone 248-684-6645. 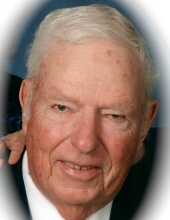 "Email Address" would like to share the life celebration of John Elsey. Click on the "link" to go to share a favorite memory or leave a condolence message for the family.